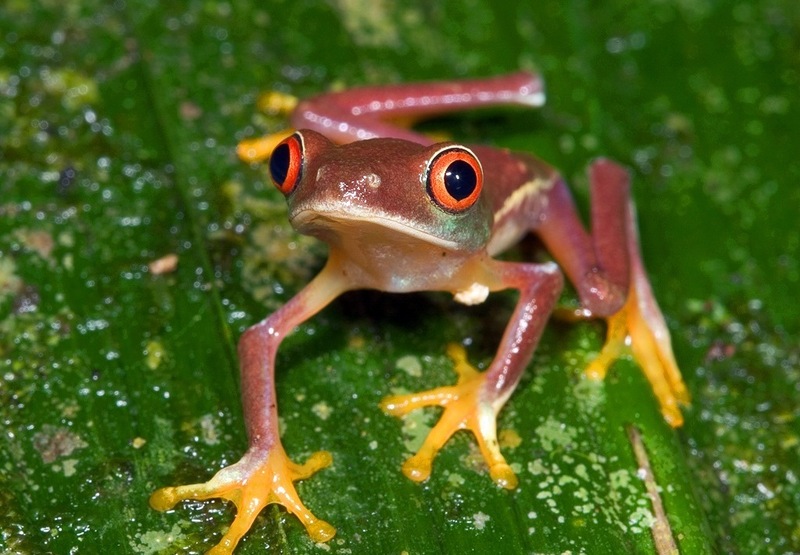 Visit some of the less travelled areas of Costa Rica, a country with some of the most varied and diverse eco-systems in the world. 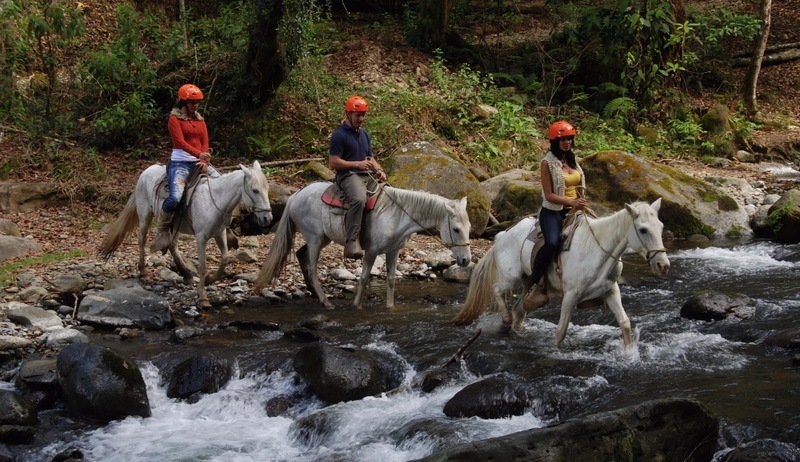 Walk in cloud and rainforests and spot rare and colourful birds from treetop hideaways; see caimen and monkeys in their natural habitat as you travel secluded waterways; ride, sail, snorkel and dive. From the Caribbean to the Pacific, from the volcanoes to the wetlands, this is a country to experience - in the wild. 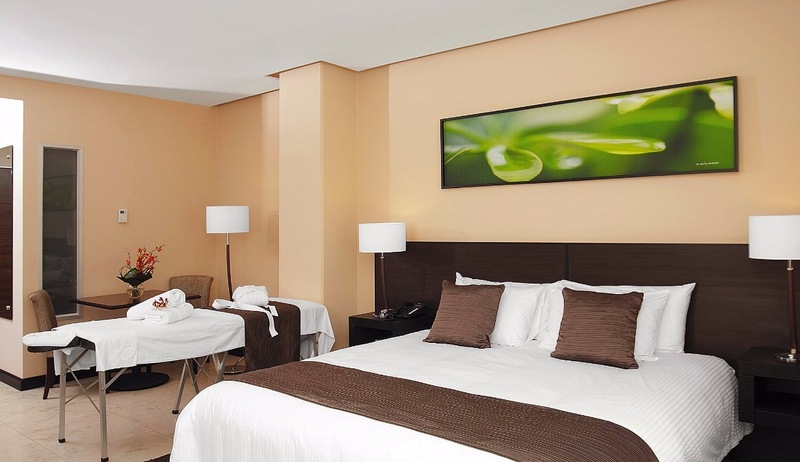 Transfer from San Jose airport to Studio hotel in Santa Ana, close to San Jose centre. 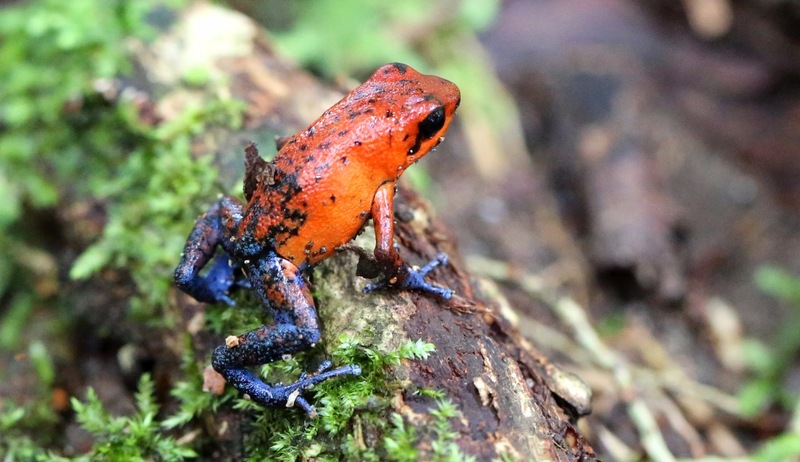 Today, from your base in San Jose, you’ll visit the Poas Volcano National Park where you’ll explore the volcano’s main crater, which steams with fumaroles (cracks in the ground that emit geothermal steam and gasses), visit the Botos Lagoon and learn about the region’s various ecosystems, and the abundance of exotic wildlife. You’ll then travel to the more than 100-year-old Doka Coffee Estate, which works by hydraulic power and is an Architectural Heritage for Humanity Site. 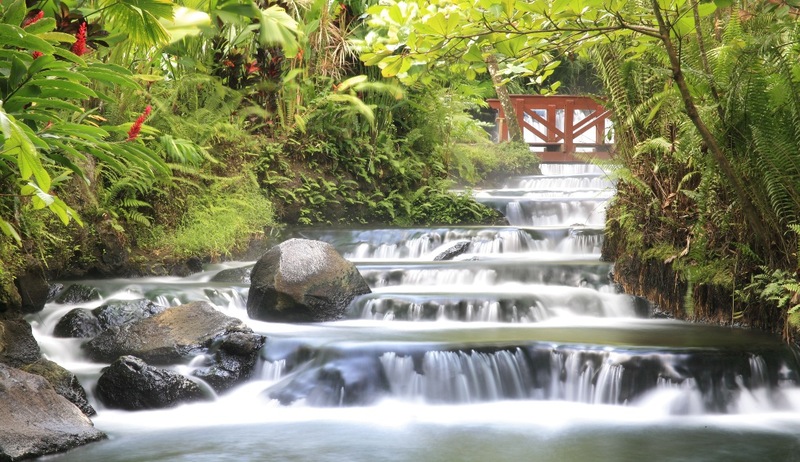 Afterwards, you’ll head to the La Paz Waterfall Gardens, an ecological preserve where you’ll walk along a forested trail with beautiful waterfalls and more than 100 species of animals plus a hummingbird garden, serpentarium, butterfly garden and aviary. After lunch on the first day, we will spend the afternoon in the quaint village of San Gerardo de Rivas. 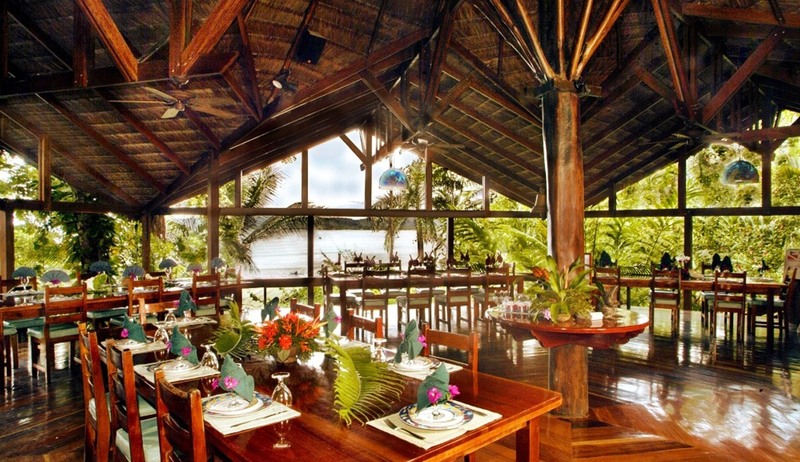 Overnight and dinner at El Pelicano Lodge (or similar). Depart in the morning of day 2 to begin trekking into Chirripó National Park. Today you hike in three stages as you ascend the mountain; the uphill trail is steep and takes 6 - 7 with normal fitness. Expect to see colourful toucans, trogons, monkeys, and more as you pass through dwarf cloud forests draped in “Old Man’s Beard” mosses. Spend the night at Crestones Base at National Park. (Breakfast, Lunch, Dinner included). On day 3, rise early to begin trekking to the summit of Mt. Chirripó before the fog rolls in. Along the way you will pass by numerous lakes and see why the Talamanca Indians called this area Chirripó “Place of Enchanted Waters”. Enjoy the sunrise; the view to the Pacific and Atlantic is stunning. Continue descending to Refuge Los Crestones. After a second breakfast, you hike back to San Gerardo de Dota and continue to Savegre. Activity includes: bilingual local guide, one night in San Gerardo de Rivas, one night in Chirripó Shelter. 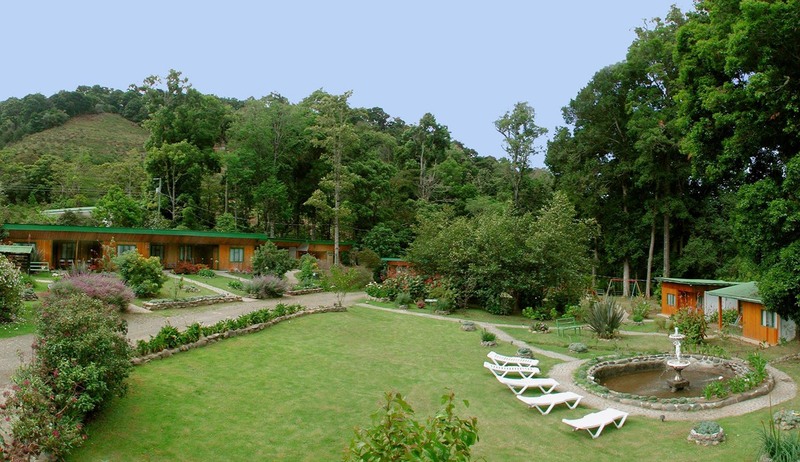 Located in a private nature reserve and owned by a local family, Savegre Hotel offers a landscaped garden setting with mountain views, spend your time exploring the many nature trails with the experienced guides, who can answer all your wildlife questions. Costa Rica’s Savegre Valley offers an outstanding chance to see one of the world’s most beautiful birds ”the Resplendent Quetzal”. 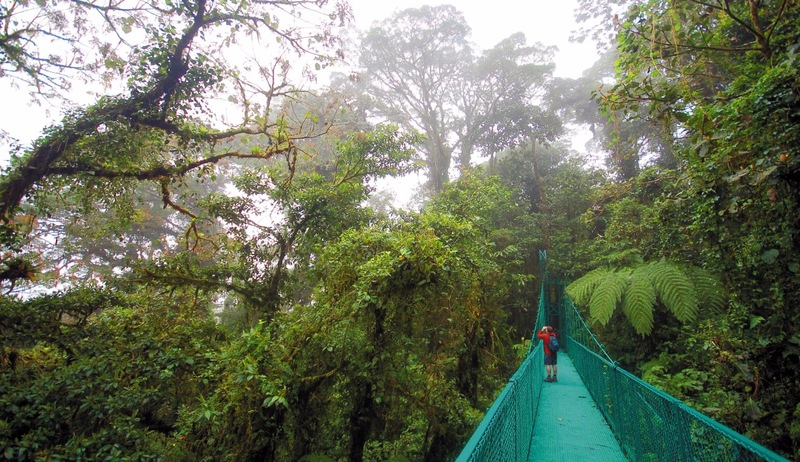 This sacred species of the ancient civilizations inhabits these cloud forests. The males of this species have brilliant red breasts; iridescent emerald green heads, backs, and wings; and white tail feathers complemented by a pair of iridescent green tail feathers that are more than 0.5m long. Ancient Aztec and Maya Indians believed that the quetzal protected them in battle. In nesting season, March and April, there are high levels of activity with parents feeding their young. Nevertheless, there are great chances of observing Quetzals all year. Next you will be transferred to Villa Florencia in Turrialba, a small, pleasant city that attracts active, adventurous travellers looking to raft the Pacuare and Reventazón rivers, hike the forests surrounding active Turrialba volcano, and learn about Costa Rica's pre-Columbian past at Guayabo National Monument veiled in the shadow of the Turrialba Volcano - like a mythical "lost city" from a storybook - lies a mysterious ancient city that was home to over 10,000 people who seemed to have mysteriously vanished just before the arrival of the Spanish in the 16th century. Beside this mysterious past the area is a haven for wildlife, howler monkeys, armadillo, coatis, and numerous bird species. You will be picked-up early and transferred to Rios Tropicales Operations Centre for a delicious, typical Costa Rican breakfast. After breakfast and changing into rafting gear, we will drive to the rafting put-in on the banks of the Pacuare River. 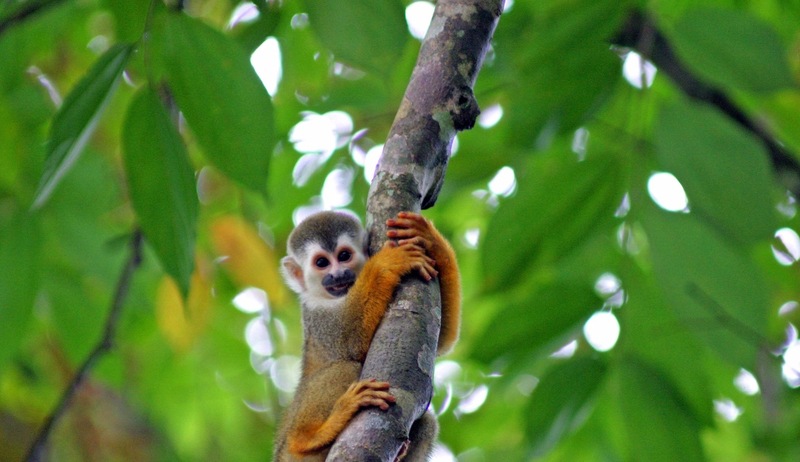 You'll launch your raft and begin to paddle 19 miles deep into the heart of one of Costa Rica's most impressive primary rainforests, brimming with a variety of wildlife, from monkeys to an impressive array of bird life. You'll pass through densely vegetated rainforest gorges, view cascading waterfalls, relax in serene pools and experience pounding rapids. 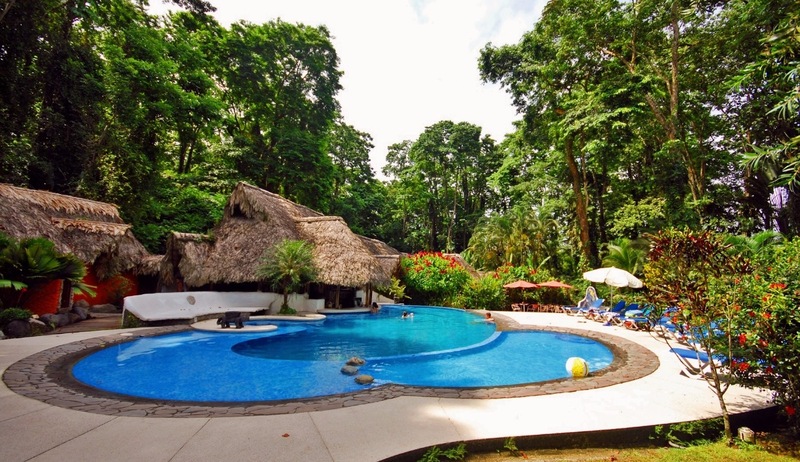 After lunch you will be transferred to your next destination, Cariblue Beach & Jungle Resort in Puerto Viejo. 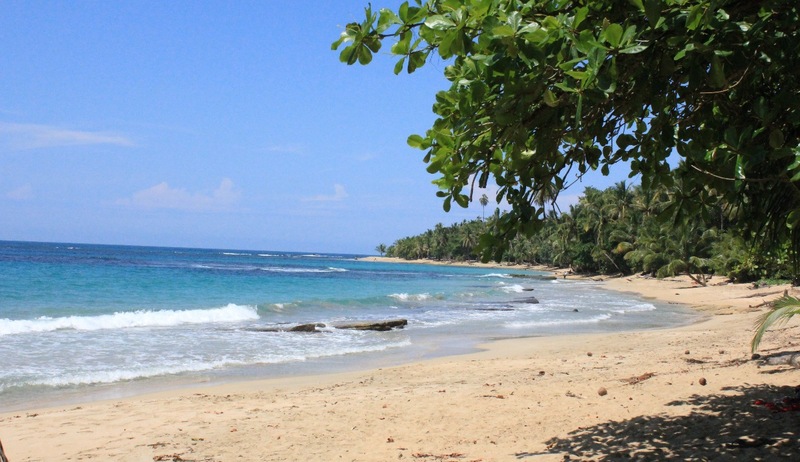 Cahuita National Park, home to an abundance of outdoor activities like hiking, scuba diving, canoeing and snorkeling. If you're a foodie, the unique Afro-Caribbean cuisine of Cahuita is a must. 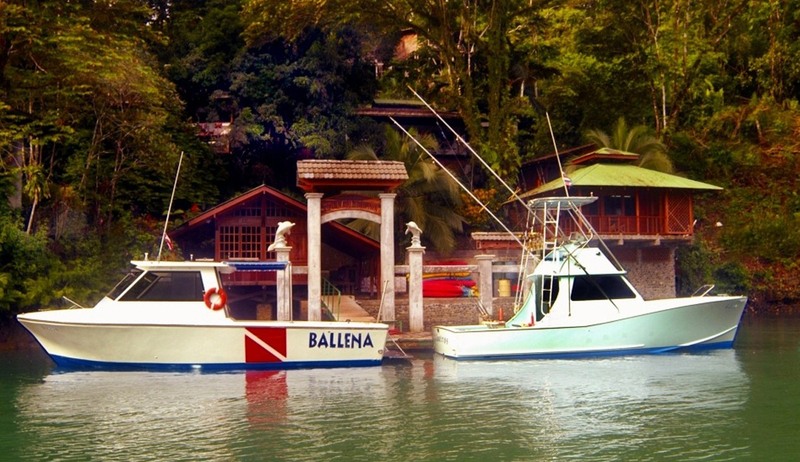 Sit on your kayak and paddle to Manzanillo, just 2 kilometers from the beach. The Gandoca Manzanillo wildlife refuge has around 10,000 acres in its marine portion, and it protects more than 5 square kilometers of coral reef along the coast. Amongst the lifeforms to be found here, are sea rods, sea fans, brain coral, boulder coral, fire coral, elkhorn coral and turtle grass. Also you will have the chance to see beautiful tropical fish like parrot fish, angel fish, snappers, groupers, grunts, blue tangs, and jack fish, not to forget the spiny lobster, crabs, conchs and other many life forms. Arrive at the next impressive destination via two internal flights (included), to a less visited part of Costa Rica. National Geographic magazine described this area as “the most biologically intense place on earth.” The Osa Peninsula is located on Costa Rica’s south Pacific coast and includes Corcovado National Park, Central America’s largest virgin lowland rainforest, with abundant wildlife, including four species of monkey, two and three-toed sloths, scarlet macaws, poison-dart frogs, and jaguars. Snorkel in the clear warm waters and protected coral reefs off the shores of Caño Island, and then relax with a picnic lunch on the beach at Casa Corcovado. Your tour starts after a leisurely breakfast, when you’ll meet your guide at the Gear House to select your flippers and mask. It’s then a 40-minute boat ride to the "Coral Garden". At certain times of the year, you may also see pilot or humpback whales, and dolphin along the way. 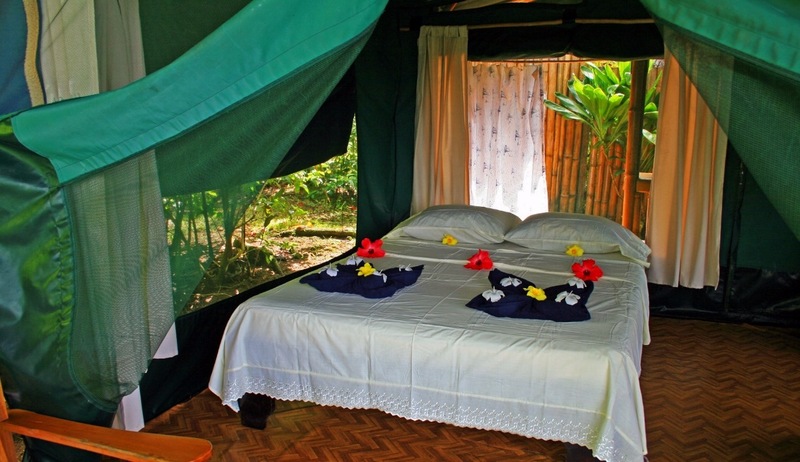 The first two nights will be spent at La Leona Eco Lodge, followed by three nights at Aguila de Osa Inn. Fly back to San Jose airport to catch your departure flight. 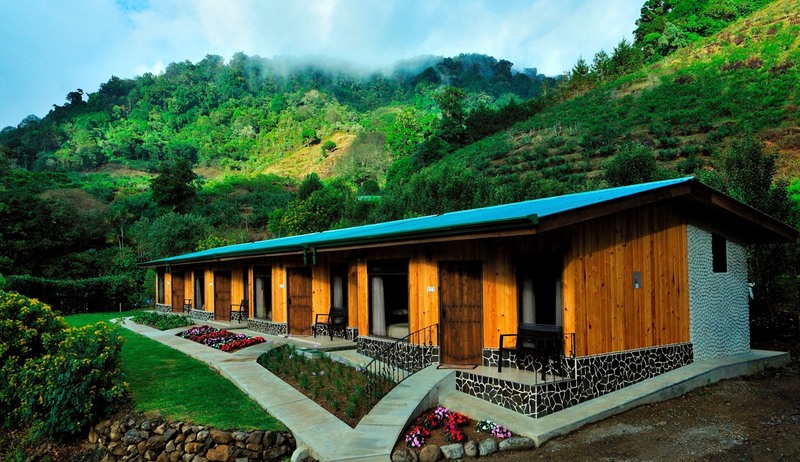 The Savegre Mountain Lodge & Spa is located in San Gerardo de Dota, a small community in the Talamanca mountains. 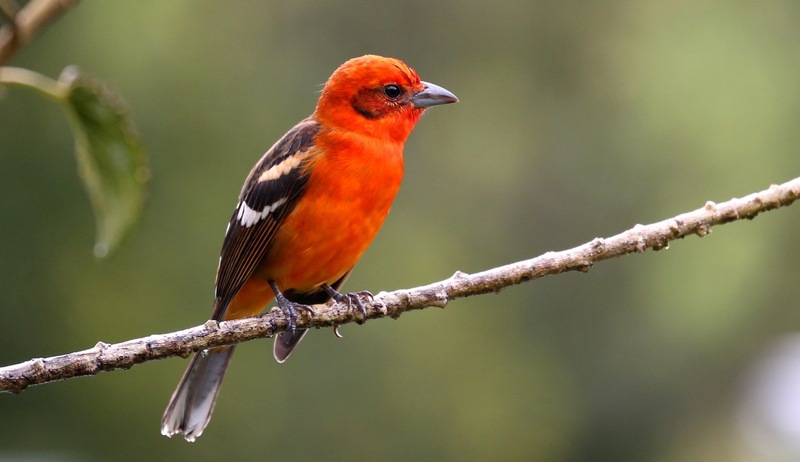 It is the perfect base from which to explore the surrounding cloud forest which serves as a sanctuary for a large number of mammals, insects, amphibians, amazing plants and colorful birds, indeed a paradise for birdwatchers. The hotel is run by the Chacon Family, whom arrived in Savegre in 1954 and were the first pioneers settling down in this valley. They have not only developed this wonderful hotel, but have taken full advantage of the surrounding natural beauty and its fertile land. Over 170 bird species have been observed in the surrounding area and is known as one of the best places in the country to observe the resplendent quetzals, who live here year round. The Hotel hosts the Quetzal Education Research Center Complex (QERC), a cooperative venture between the Chacon Family and Southern Nazarene University in Oklahoma. 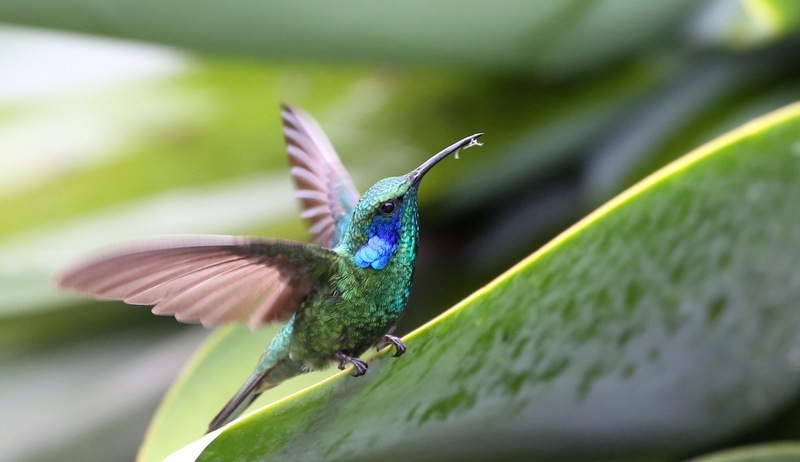 All 41 rooms are surrounded by the beautiful kept and vibrant gardens which became a haven for bird life, most notably the charismatic hummingbirds that flock to the feeders at sunrise each day for their sugar fix. All the rooms are equipped with a private bathroom and hot water, electrical heater, safe box, hair dryer and phone for international calls with credit card. 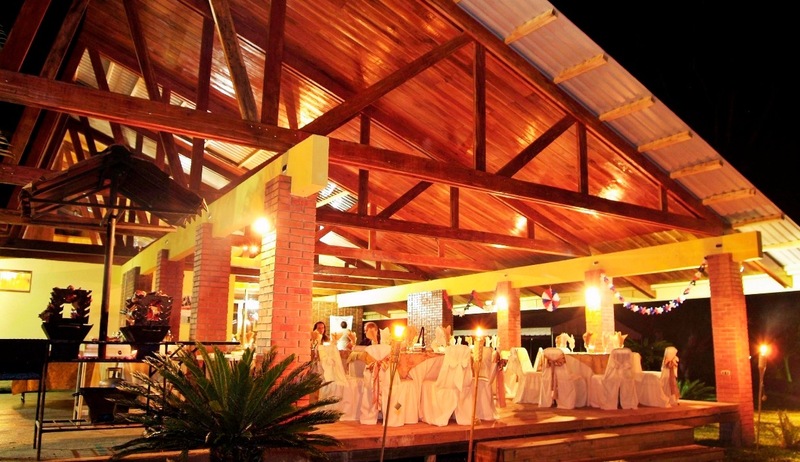 The restaurant offers both, a selection of a la carte or buffet style meals, each providing a wide and delicious variety of International and traditional Costa Rican cuisine, as well as the house specialty - freshly caught rainbow trout. 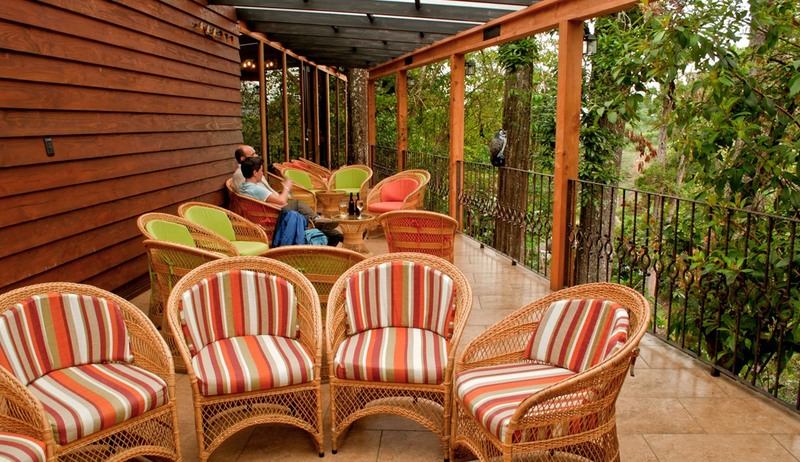 Studio is a boutique hotel located in Santa Ana, near the capital city of Costa Rica, San José. 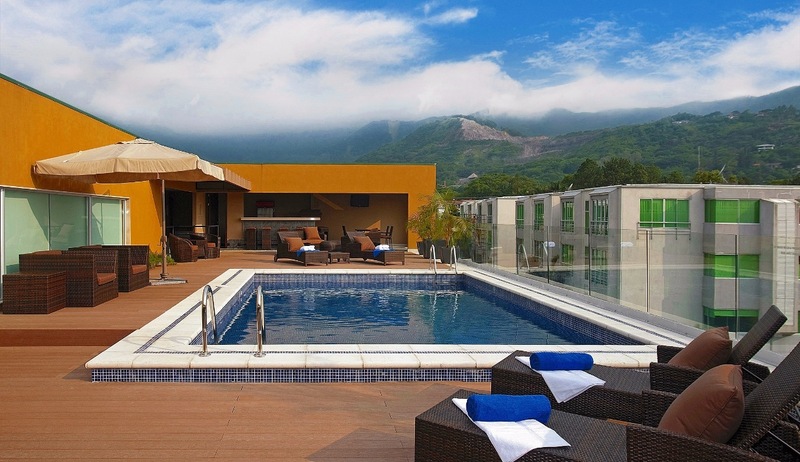 Studio Hotel is a luxury hotel of 82 rooms with beautiful views of the mountains of the Central Valley. Designed to be modern, comfortable and unique in the middle of the city elements. 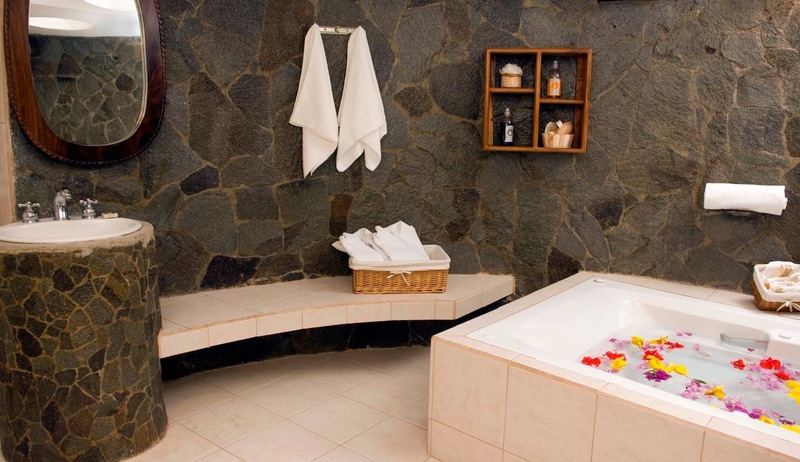 Villa Florencia Hotel offers you the ideal place to rest in one of the most picturesque places of Turrialba Valley. 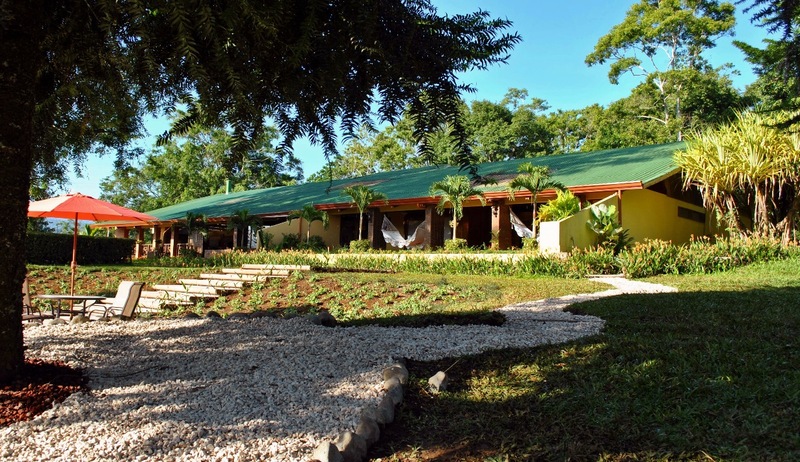 The hotel is surrounded by sugarcane plantations and beautiful vegetation. 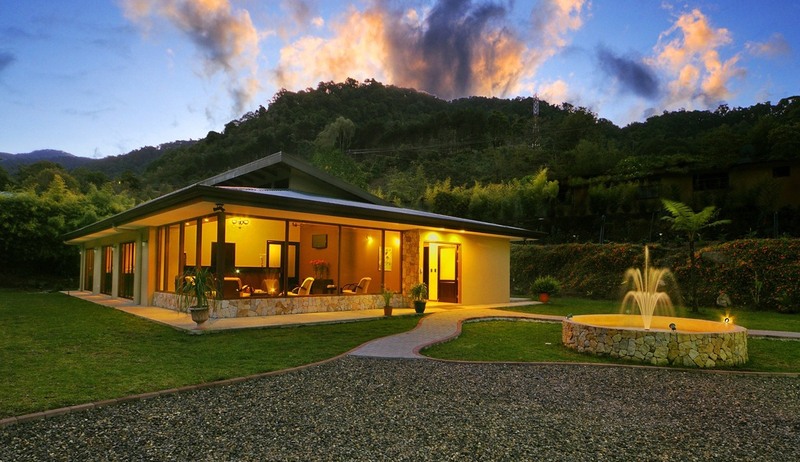 It is located at only 10 minutes from the city of Turrialba; here you will be able to enjoy privacy and hospitality. Villa Florencia offers 11 rooms carefully designed in harmony with the atmosphere around the Villa. Florencia Villa is characterized by its familiar and personal attention. 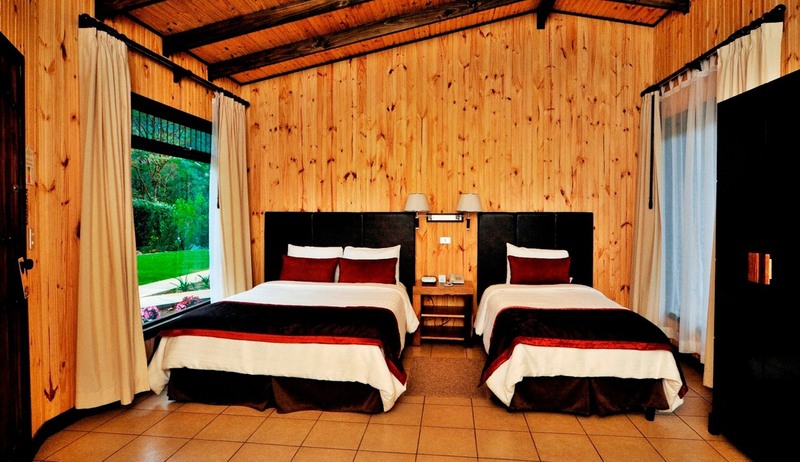 Hotel Cariblue offers a harmonious blend of comfort and natural charm. It lies along the shoreline of Playa Cocles (with neighboring Playa Negra, Playa Chiquita, and Punta Uva one of the most stunning beaches in all of Costa Rica). 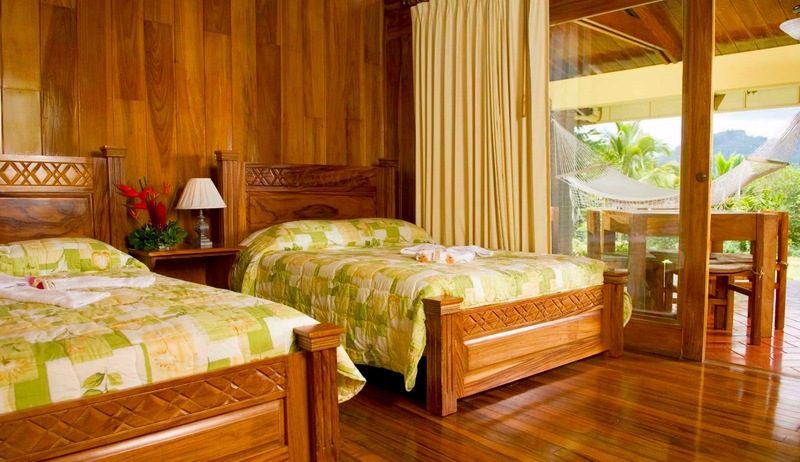 The hotel is within a 2-hectare (5-acre) tropical garden with 20 standard rooms, 2 deluxe modular areas (each with four accommodations with one king-size or two queen-size beds and a nice porch or balcony with hammocks and chairs), 5 bungalows, a spacious family house, and a beach-front apartment. All room interiors are refined with details in natural materials like wood and stone and decorated with modern Caribbean works of art. The 10-meter high and spacious rancho-style restaurant (situated in the middle of the tropical garden and facing the main pool) serves everything from traditional Caribbean cuisine and Italian fusion. 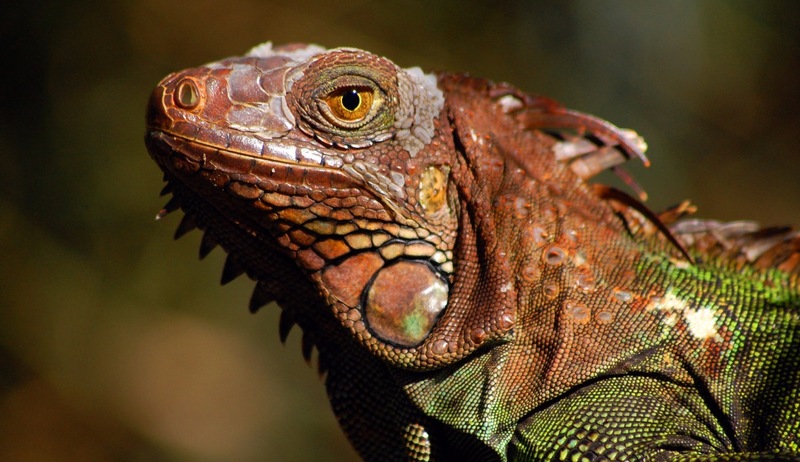 While in the hotel garden you can admire about 120 species of birds, monkeys, sloths, and other fauna. You can relax either catching some rays at the nearby beach or spending some time pampering yourself with organic treatments at the hotel´s full-service spa. 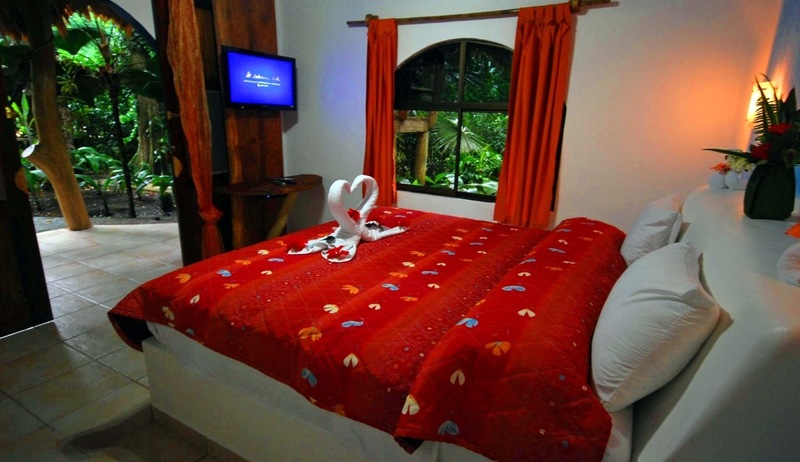 Facilities: Restaurant, spa, 2 swimming pools, beach bar, pool bar, gift shop, surf school, Wi-Fi, air conditioning. 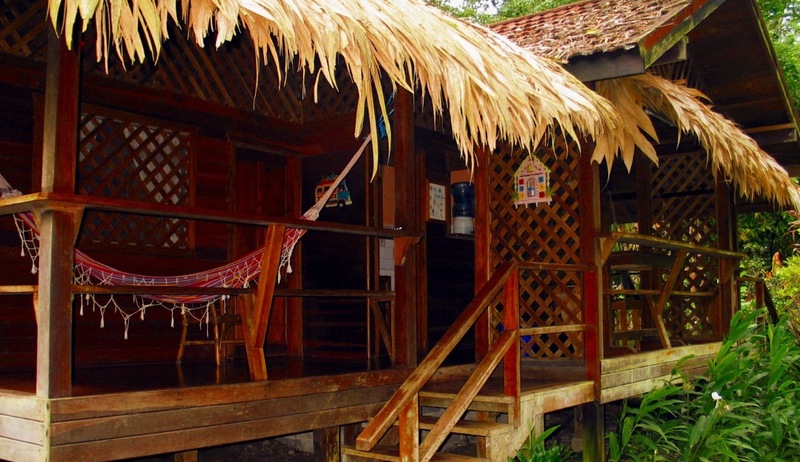 Situated right next to Corcovado National Park (part of the Osa Conservation Area) this family-owned eco lodge is surrounded by the vast rainforest and stretches along pristine beaches on the Pacific Coast. 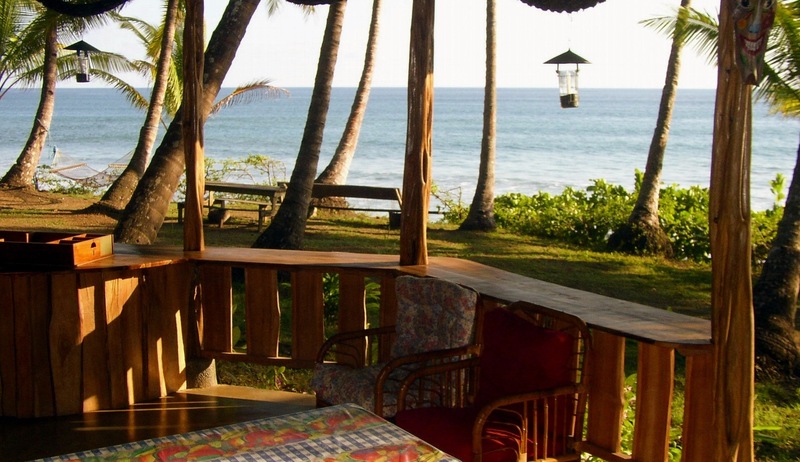 You can enjoy spectacular views of the ocean and the tropical environment. 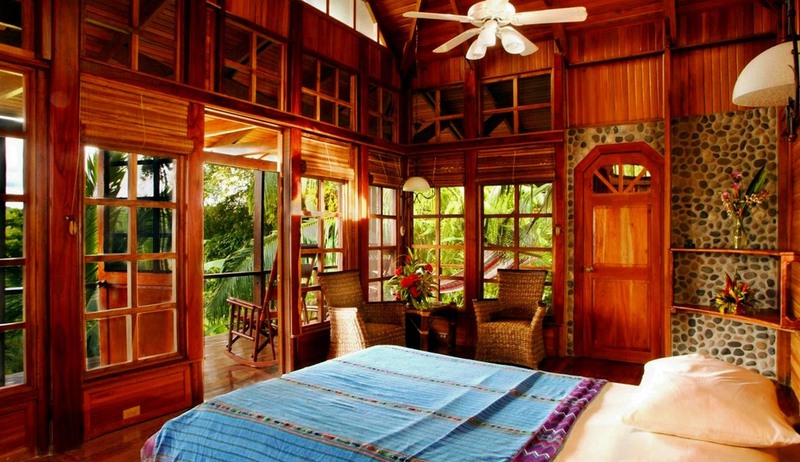 La Leona Eco Lodge maintains its unique setting by embracing sustainable practices and by reducing environmental impact. The 6-hectare (15-acre) beachfront and 30-hectare (75-acre) primary forest areas have well-maintained trails that let you admire the abundant wildlife. 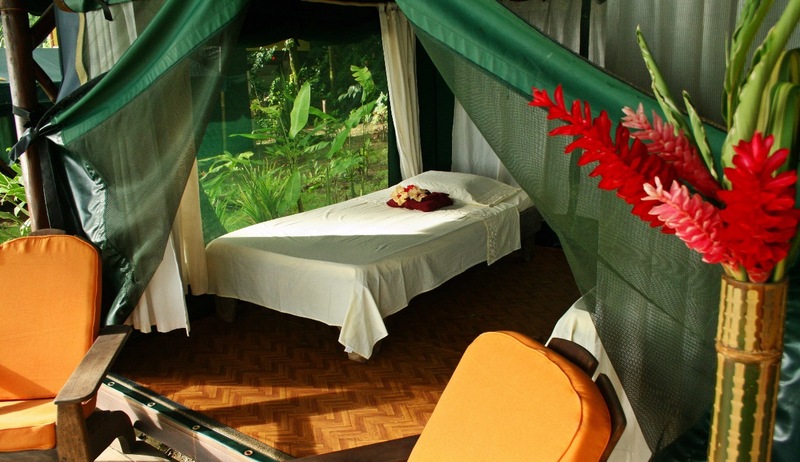 The lodge has 16 tent cabins placed on wooden platforms and designed with ample decks for you to enjoy the scenic beauty of the foaming waves or the rainforest canopy. The forest-green tents are nestled between the palm trees; all fully screened, comfortably furnished, and with a private garden bathroom. 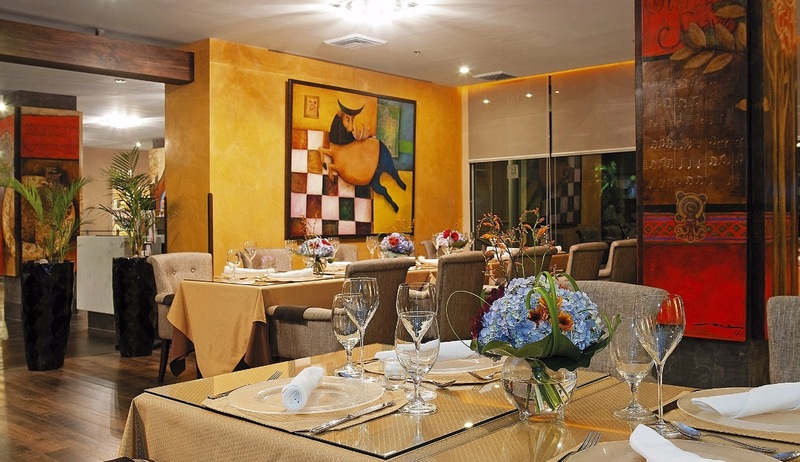 The lodge also serves tantalizing dishes with a fusion of regional Costa Rican and international cuisine at its restaurant. All ingredients are organic and fresh, and bread is freshly baked!